Bitcoin Cash, the most famous Bitcoin hard fork, has been faring relatively poorly pricewise as of late. Following the trend of the entire market, BCH fell from its early May highs of just over $1800 USD to its current $840.47 USD price. The coin lost more than a half of its dollar value and the trend seemingly continues as BCH/USD saw a 3.52% drop-off in the last 24 hours. Interestingly enough, its BCH/BTC ratio has suffered less, with the price falling from 0.18 BTC to 0.13 in the last month and a half. With a market cap of $14,445,093,886 USD and a daily volume of $321,446,000 USD, BCH sits comfortably at the no. 4 spot of coinmarketcap’s list of most valuable cryptocurrencies. The FA side of things looks to be picking up the slack as of late. Lokad’s Joannes Vermorel, along with Amaury Séchet and Shammah Chancellor of Bitcoin ABC and Thomas van der Wansem of Bitcrust, published a paper which explained BCH’s intention to introduce a new way of managing transactions on the network. This innovation is supposed to bring improved scaling and a better functionality to the network, allowing it to process much bigger blocks than it does now. The new model is called CTOR (Canonical Transaction Ordering Rule) and is supposed to replace the inherited TTOR (Topological Transaction Ordering Rule). Mentioned Amaury Séchet recently spoke on a CoinGeek conference, where he exclaimed that BCH’s block interval will be set to at least 2 minutes. Such a system gives miners enough time to validate transactions and add them to the ledger while ensuring that the validation process is faster than the one utilized by some competitors (namely Bitcoin). This development will make Bitcoin Cash reach transaction throughputs that could rival commercial competitors like Visa, Séchet claims. Sechet added that the BCH developer team is working on increasing their ledger’s block size to 32 MB. He cited the achievement of Bitcoin Unlimited, a team of developers who successfully processed a 1 GB block. Most people in the BCH community accepted these ideas, as they feel that increased block size combined with faster block creation will be an improvement over existing standards. Another important project development was the announcement that ChainBet became the first atomic bet use-case for Bitcoin Cash OP_Codes (functioning similarly to Ethereum’s smart contracts). This Bitcoin Cash betting protocol relies on a simple coin flip bet which is tethered to Bitcoin Cash chain. Bitcoin Cash’s community is of course elated with this new use case and is impressed with the new features (especially its atomic swap capabilities). BCH still remains a highly controversial project. Many people can’t see eye to eye with Bitcoin Cash creator Roger Ver, and with a good reason. 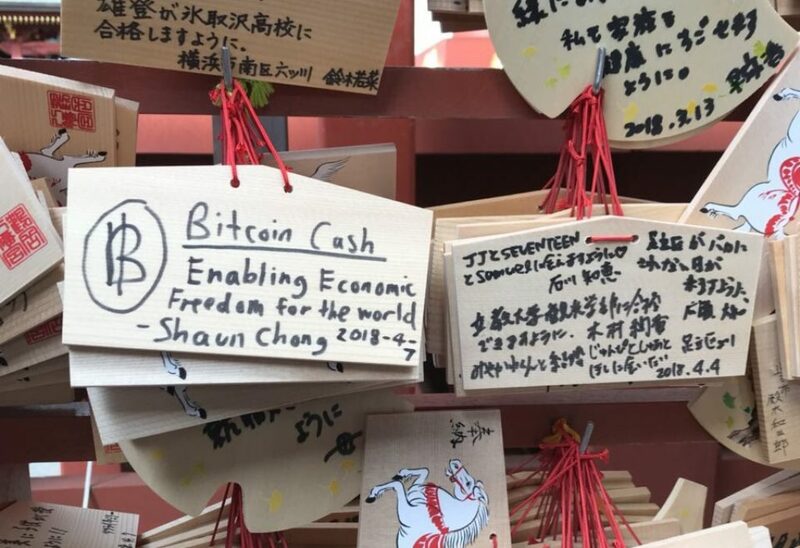 Even the people who followed him initially on his mission to create a Bitcoin “in original Satoshi’s vision” are starting to bounce on the project. The latest example of this has been the creation of Bitcoin Cash hard fork, named Bitcoin Core” (seemingly done by former BCH devs to troll BCH fans who love using this name to define the original Bitcoin). The people who remain on board seem as fanatical as ever, sometimes even more than normal human discourse should allow. The future will tell if the latest wave of innovation by BCH development team will bring about any positive price action for the coin.